Meizu is a company most Americans likely haven't heard of. But it's actually one of the largest consumer electronics brands in China, having sold over 20 million smartphones last year. Its latest and greatest handheld is the Meizu Pro 6, which boasts a 5.2-inch Super AMOLED display, a 21-megapixel camera and a whopping 10-core processor. Now the company has its sights set on the US market. But it's not planning on introducing a phone here. Instead it's launching a wireless speaker. And it's doing so, surprisingly enough, through crowdfunding site Indiegogo. But before we get into why Meizu is doing this, let's go over the product itself. The speaker is called Gravity, and it's designed to look as if it's floating on air. Conceived by Japanese designer Kosho Tsuboi, the speaker actually sits atop a transparent block of acrylic, which at certain angles looks as if it's not there. The acrylic block is positioned off-center, which might make you worry about the speaker tipping over, but Meizu has added enough weight that it won't. Stacked on top of that is an acrylic prism, which refracts a special floating display that disappears when not in use, adding to the illusion of transparency. The speaker has a relatively small footprint, at 262mm x 58mm x 47mm (roughly 10 inches x 2 inches x 2 inches), and though I don't know its exact weight, it had a nice, reassuring heft to it when I tried moving it around. This is definitely the kind of speaker you would leave somewhere as an accent piece, as opposed to something you'd carry around from room to room. Indeed, seeing as it's not battery-powered -- you'll need to plug it into the wall -- it's obvious this was not really meant to be portable. Aside from the transparent acrylic, the speaker housing itself is metal, with a soft mesh fabric covering the front and rear grilles. It will cost $200 at retail. As for audio quality, Meizu says it worked with Dirac, a Swedish company specializing in acoustic engineering. The device has custom speakers with "dual passive resonance membranes," for stronger bass, and incorporates Dirac's proprietary "HD Sound" tech. You can set the speakers up over WiFi using the Gravity app, but if that's too much of a hassle, you can also use it via Bluetooth or an auxiliary port. Unfortunately, the prototype I handled was a non-working model, so I couldn't test out the Gravity's claimed audio properties. In some ways, the Gravity is a return to Meizu's roots: The company started in 2003 as a manufacturer of MP3 players. "We used to be number one," said Lola Wu, Meizu's senior product and marketing manager. "A lot of young people in China used our products." Then the company shifted its focus to smartphones. Meizu eventually got into a bit of a rivalry with Xiaomi, the other big smartphone maker in the region. Wu tells me that Meizu's founder, Jack Wong, and Xiaomi's founder, Lei Jun, used to be friends, but that their visions were different. Wong, she says, is more of a designer, while Lei is more of a businessman. "Our boss is always focused on design. He wants everything to be perfect." The Gravity, then, is a symbol of Meizu's heritage of design and music. Unlike smartphones that are disposed of every two years, Wu says, the Gravity is meant to be a piece of art. It's purposefully design-focused and, as its Japanese creator is from a Buddhist-monk background, it's meant to evoke the spiritual with its minimalist look. So why launch this in the US? Why not sell one of its many smartphones here instead? It's partly because Meizu is well aware that its phones look far too similar to the iPhone. Further, the Meizu brand just isn't as well-known stateside and might be seen as inferior. "There's an idea that 'Made in China' is a cheap product," says Wu. Although "nowadays that's changed." That's partly why the company was so insistent on making the Gravity a premium device: to rid itself of that stigma. But a key reason why Meizu chose to launch a wireless speaker in the US is the difference between US and Chinese markets. Wireless speakers like Sonos, Wu tells me, just aren't popular in China, perhaps because the typical Chinese home doesn't have multiple rooms. 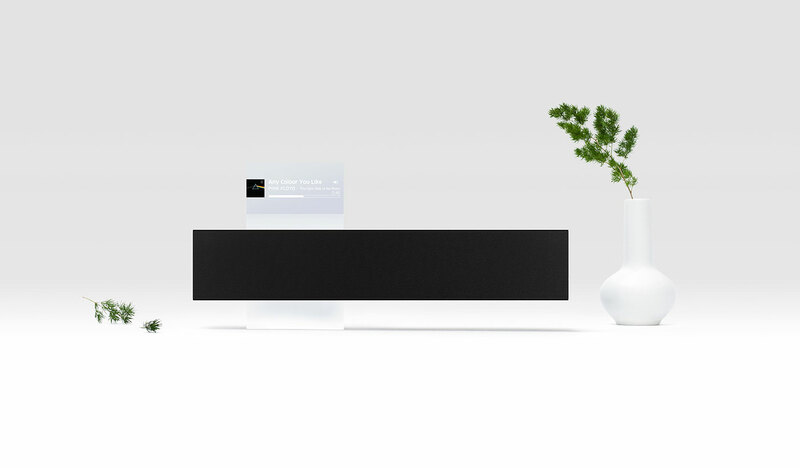 The US market, on the other hand, appears to have embraced high-end wireless speakers as a general concept from the likes of not just Sonos but also Bose and JBL. That's not to say the company won't eventually sell the Gravity in China too, but it figured this was the company's best shot at gaining a US audience. As for the decision to launch on Indiegogo, it's clearly not about the money; Meizu is a successful company that could have manufactured the product itself without any help. "It's because we need suggestions!" says Wu. "We need feedback about the product. We want the pickiest market to tell us what they think." I have to say the acrylic blocks strike me as a touch tacky and also a bit impractical. I would feel a little more secure if the speaker lay flat on the table instead of being balanced on a block. Still, I do think it looks pretty cool with its floating design, and there are probably people who are far more discerning than me who might appreciate its arty aesthetic. Gravity's Indiegogo page is live as of today, with the first units expected to ship in December. Early-bird backers can get it for $169 instead of the eventual $199 retail price. Wu tells me that if the product gets enough funding, the company might lower the price even further.